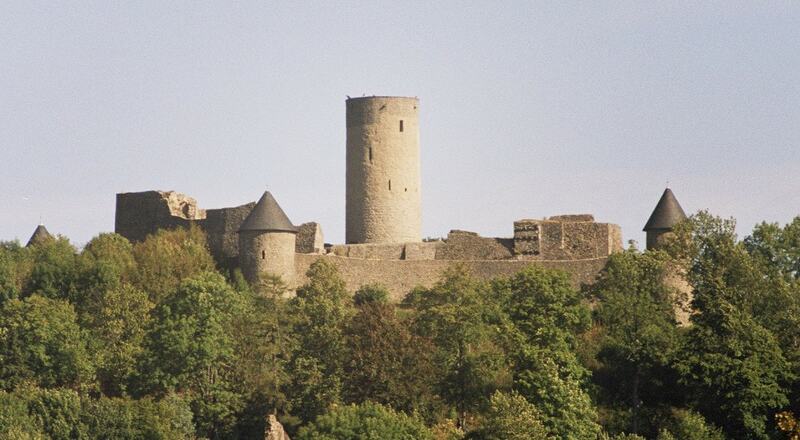 The Nurburg is a ruined hilltop castle in the German Eifel Mountains near the village of Nurburg south of Adenau. It stands within the famous North Loop (Nordschleife) of the Nurburgring racing course at a height of 678 metres on a volcanic basalt cone. It may be visited for a fee.